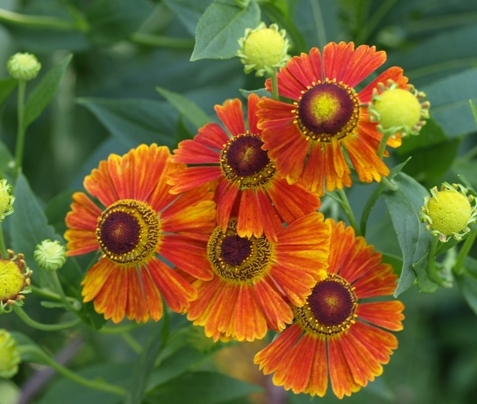 If you enjoy growing new and unusual perennials, take a look at the yellow-flowering Fall Sneezeweed (Helenium autumnale sildenafil 20 mg vs viagra) for cheerful late-season blooms. Actually not new at all (only at nurseries), sneezeweed is a native plant that grows wild in wet areas across most of New England, providing nectar and pollen to butterflies and late-season pollinators. The native yellow-flowering Helenium autumnale is still very hard to find at nurseries (at least in New England), available only at Project Native viagra gout side effects (please hit Reply if you know of others! ), although hybrids bred in Europe are beginning to become widely available in nurseries. The hybrids are bright and showy, usually with flaming orange-yellow flowers. This entry was posted in Butterfly gardens cialis 20 mg wirkungsweise, Habitat ponds cialis italia, native new england plants where to buy generic viagra in usa, New England gardening for butterflies l arginine cialis together and tagged Helen's Flower helenium autumnale can you buy generic viagra in canada, Helenium autumnale fall sneezeweed the best generic viagra online on April 29, 2015 by thbfarm viagra tablets price in usa.